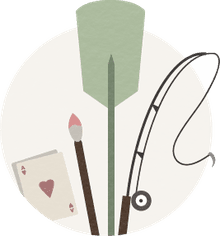 Forms of poker have evolved from a game against a table of opponents to games that require a table of players to try and beat a casino dealer. The change isn't really that great since on a standard poker table the house takes a rake of up to 10-percent. At the table-game variety, the house holds an edge and players simply hope for the best hand. There is less strategy, but the games offer high-hand payoffs and bonuses. The object of High Card Flush is to make at least a 3-card flush and beat the dealer's hand. The game is played with a standard English deck of 52 cards, and hands are valued as they are in a regular poker game. If you haven't played much poker, this is still an easy game to play. A flush is simply a set of cards that are the same suit, such as spades, diamonds, clubs or hearts. Most players have played a little poker, such as Seven Card Stud or Texas Hold'em, where the player needs five suited cards to make a flush, but at High Card Flush, three suited cards are enough to claim a flush hand. That's almost all you need to know to play! Sit down, exchange your cash for chips with the dealer, and you're ready. The minimum wager is listed on the table, but unlike blackjack, you'll be making more than one bet almost every hand. To start, place your first bet in the Ante circle and wait for the dealer to give each player and themselves seven cards. Once all the cards are out you can take a look at what you've been dealt. With seven cards you will have a minimum of two cards in the same suit, but the more the merrier, and the more you can bet in the Call circle. 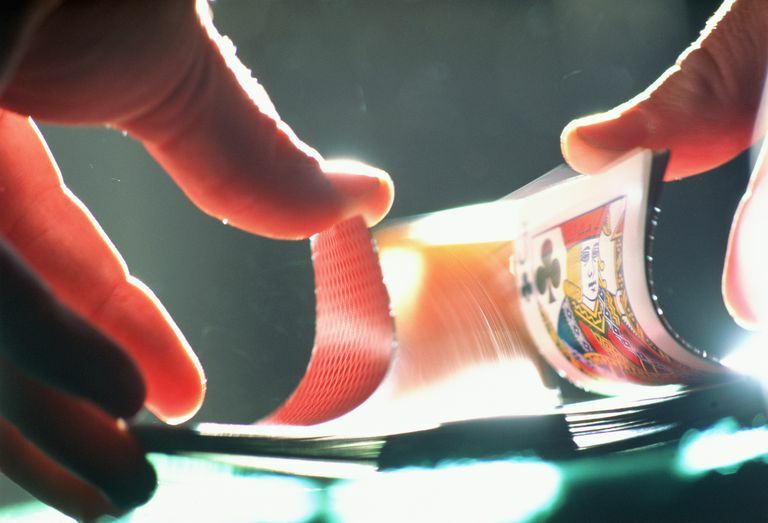 With a 2, 3 or 4-card flush you must bet an amount equal to your original Ante wager. If your poker hand has five suited cards you can bet double your Ante wager. Even better, should you make a six or seven-card flush, you can bet triple your original Ante wager! Then, you simply wait for all players to finish their bets and for the dealer to expose their cards, and that's when it gets weird. To qualify and pay the Call bets, the dealer must make at least a three-flush, and it must be at least nine-high. If the dealer does not qualify, then players win only even-money on their Ante wager and the Call wager is a push. If the dealer does qualify, then the player's hand must be higher than the dealer's. If they both hold the same number of suited cards (such as a 3-card flush each), then the highest card wins. Aces are always high. A flush of Queen-4-3 beats a hand of Jack-10-9 and so forth. However, the twist in High Card Flush is that either the dealer or the player may hold a flush with more cards than the other. When this happens, the highest number of flush cards automatically wins, regardless of high cards. So a 4-card flush beats a 3-card flush and a 5-card flush always beats a 3 or 4-card flush etc. Beating the dealer's qualifying hand means the player is paid even-money on both the Ante and Call wagers. Suits are irrelevant at High Card Flush. A 4-card spade flush of 7-6-4-3 does not beat a 4-card flush of 7-6-4-3 in clubs. The hands are a push. As with other table games, there is an optional bonus wager that can be placed before any cards are dealt. To win, the player must make at least a 4-card flush. The house edge on the bonus wager is about 7.8-percent, again, very similar to games like Let-it-Ride and Ultimate Texas hold-em. The easiest strategy to follow for High Card Flush is to mimic the dealer's qualifying hand. Since the dealer needs at least a 3-card flush of 9-high or better to qualify, players should fold 3-card flushes below 9-high and make the maximum Call wager with any 3-card flush with a high card of 10 or better, or a hand of 9-8-2 or higher, This will yield a house edge of about 2.7-percent. Another bet is offered at some casinos called the Straight Flush Bonus. Unfortunately, the house edge is a hefty 13-percent. You'll win if you make at least a 3-card straight flush. Overall, you'll see a straight flush about every 15 hands. Have fun!